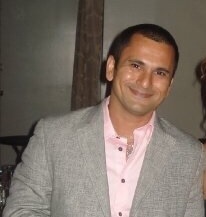 Executive Chef Anish Rana has over 15 years experience in culinary arts and training. He started off as a Sous Chef with Carnival Cruise Lines and moved up the culinary track to the Executive Chef of several South Florida establishments such as Bimini Boatyard, The Pin Deck and Bistro Mezzaluna which has been his home since 2012. He was also the Private Chef for NFL Running Back – Jamal Lewis, CEO of Dicks Sporting Goods – Richard Stack, CEO of Maclean Fog Company – Barry Maclean, CEO of The Expert Planet – Steve Doumar and CEO of Everglades Diesel – Nick Gibrants. Congratulations Chef Anish Rana on being our Chef of the Month for June! 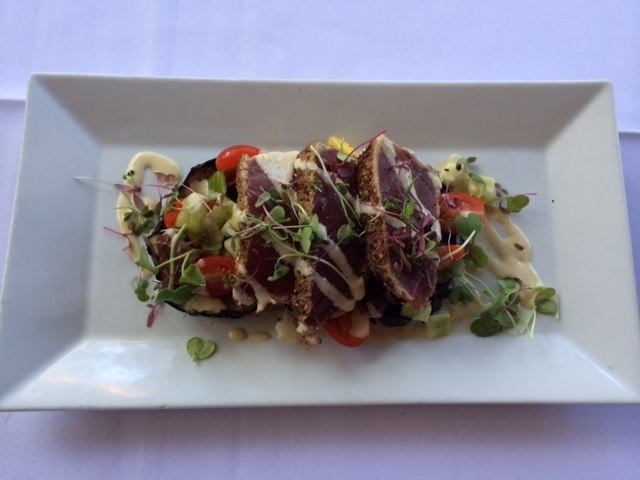 Your Peppercorn Crusted Yellow Fin Tuna was very tasty and we truly appreciate your creative finesse! 1. What is the name of the Restaurant/Hotel you work with and where are you based? My mom was a very big inspiration. I decided at a very young age, that I wanted to cook and make a living as a chef. Her health was not 100% and she was bedridden. As the older sibling, I would sit next to her bed and she would show me how to cook as we had a makeshift stove to prepare foods. This really made me very interested in cooking. I always looked forward to it after school! I work 14 hours a day but cooking is one of the things I really, really enjoy and after a long day, I will still go home and cook. In the free time I do have, I watch a lot of sports like American Football and I actually used to play for the junior national soccer team for India. I also love fast cars and working on them. I own a Mini Cooper right now. 5. What is your Must Have Kitchen Tool? Knives! I love Wüsthof knives which is a German brand. 6. Do you enjoy dining out on your free time? What is your favorite type of cuisine? Yes, absolutely! Nothing in particular but I like to go out and see what other restaurants have, not like big chain restaurants but smaller restaurants where they go out and do different things – soul food kinds of places. Love to explore different foods and different flavors. 7. What fabric and style of chef uniform do you enjoy wearing the most? Poly Cotton Mix – kitchen friendly material. I am a very hands on chef and work behind the line. I like to wear short sleeves. When they started making short sleeves, I was in heaven! Medium eggplant… 4 slice aprrox. Sliced 1/2 inch thick. Seedless cucumber medium dice… 4 oz. Pitted kalamata olive cut in half… 2 oz. Fresh squeezed juice of 1 lemon. 2 tbs. extra virgin olive oil. Marinate the eggplant slices with oregano, olive oil, salt and pepper. Grill the eggplant 2 min each side. Crust the tuna with coarse ground black pepper and spray olive oil and grill the fish just enough so it has nice grill marks outside and still rare inside. To make the salad – add the cucumber, tomato, and olives together and season with salt and pepper and lemon juice. Let it sit for 10 min. For the vinaigrette, add all the ingredients together and whisk. To present the dish, lay the eggplant on the plate overlapping each other and put the salad on top of the eggplant and slice the tuna thin and also lay on top of the salad. Drizzle with tahini vinaigrette and garnish with some micro greens. 8. How long have you been a chef and where did you study? 19 years. I studied the Culinary Program of Arts at Johnson and Wales University. 9. What education or experience would you recommend for aspiring chefs? Going to school is very important. Learning the basics and getting your hands dirty and seeing what you want in the future. It’s up to you and what you want to become. You will learn only if you do it which is something I tell my own guys in my kitchen. You grasp faster. At my stage of learning, I had to write everything and after that, I pushed a lot of paper and said let’s redo this process to the Training Chef. 10. What would you recommend as far as on-the-job training? Hands on Training – take a pen away from the chefs. You are in the business where you have to show what your hands can do. 11. What is your greatest challenge in getting the ingredients you need? It is difficult in getting what I want at times. You may want something in California as it may not be grown in Florida but for the most part, it is easier as most people carry everything. I go to the local farms/fresh markets and see what’s out there. I have my local network who supplies me with what I need. They also make suggestions to try out several items. 12. Do you try to experience your competitors’ food? Do you ever get ideas from them? Yes. I go to restaurants around work. Being in the kitchen as much as I am, you want to also keep yourself knowledge able and be current in your restaurant. Always have a great attitude to learn. 13. Do you think it is important to visit the markets rather than just have standard orders? Yes but not possible daily. I love local growers and they normally come to me and bring me samples. 14. How do you test a new recipe without putting it on the permanent menu? I put together all the ingredients, make a plate and have my employees try it because they are promoting the dish. We list it as a special and get feedback from our guests and based on the amount of positive feedback, it then goes on the permanent menu. 15. What is your advice for planning a menu for a new restaurant? Think of the theme, then design the menu to fit the theme. It takes a lot and you have to take into consideration your kitchen as it plays a big role on the kind of menu you should have and what kind of equipment you can fit in it. When putting the dishes together, you have to think of the kind of manpower you will have to put forth a lot of dishes. You can offer a combination of classic and unique dishes and balance it. Also, take into effect healthy and non-healthy dishes. 16. How do chefs use technology in their day to day operations? Technology makes a big difference. From the little things to the big things like tenderizing meat for example…you used to take a mallet and pound it, not there are tenderizers to do that work for you. There are machines that shows you temperatures of water, mixers and all sorts of gadgets. 17. What phone apps do Chefs use in their day to day? I don’t use any apps but Google is my best friend and the Food Network. 18. What dining trends do you see taking place for 2014? 19. How has the revolution to eat healthy influenced you as a Chef? Every dish I make, I am conscious of making them healthy. Eating healthy is part of my lifestyle and I transfer that philosophy to my dishes. 20. What do you think of “Green Kitchens?” Is it realistic to outfit your kitchens to be environmentally friendly? To the latter question, yes, to a certain level. You can do it in little touches. Regarding ‘green kitchens,’ you can recyle using recycled paper, bottles and plastics – one of the biggest things in being green. You can also apply this mentality in the way you use your materials as well. It plays a big role especially in trying out places and our restaurant uses social media in this way to bring exposure of the meals I prepare and using a reservation system called OpenTable. Anish….my best indian friend….how are u? It’ s me , Linda!